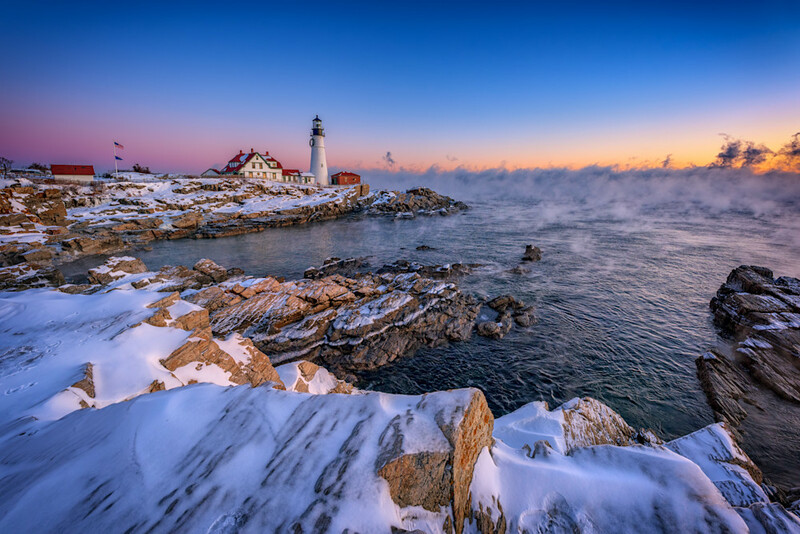 Portland Head Lighthouse greets the sun on a frigid winter morning in Cape Elizabeth, Maine. On an extremely cold winter morning in Cape Elizabeth, Maine, Portland Head Lighthouse stands high above the waters of Casco Bay as the sun rises on the horizon. Sea smoke, caused by extremely cold air moving over warmer water, dances on the surface of the bay.